Happy 2012! I hope you all had a fun New Year's Eve and I'm sure everyone is up to their necks in resolutions for the new year... I'm hoping to write out a list sometime in the next couple of days. 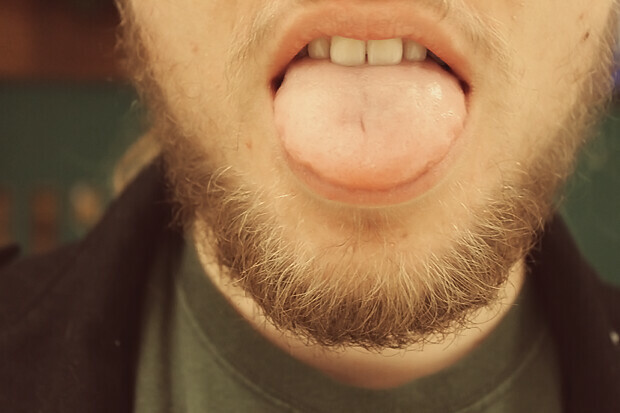 I'm going to try to focus on the tangible things that I may actually get done. There is a lot of hype about resolutions, and while most of the time they are forgotten about, I think it's helpful to make the goals, if nothing else. A big part of living is the process of continuing to move forward and maintain progress. Saturday afternoon Nat and I went ice skating! Poor Nat. 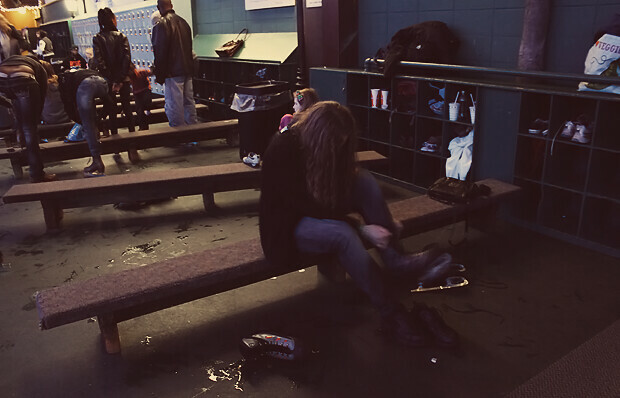 He is one of the unfortunates who can't quite skate...hah. I think he still had some fun though and I'm glad that he is sweet enough to go with me even if he isn't much of a fan of skating. The ever-delicious In-n-Out followed skating... and our New Year's Eve party afterwards consisted of a crazy long game of Monopoly with Nat's family. It was really fun and I loved spending time with them. :) Despite the fact that both Nat and I were the first to lose...Oh well! Wowwwwww how cool pictures! I love this post! so original!!!! Good luck with this semester. What a fun date! I love your dress. Great photos! 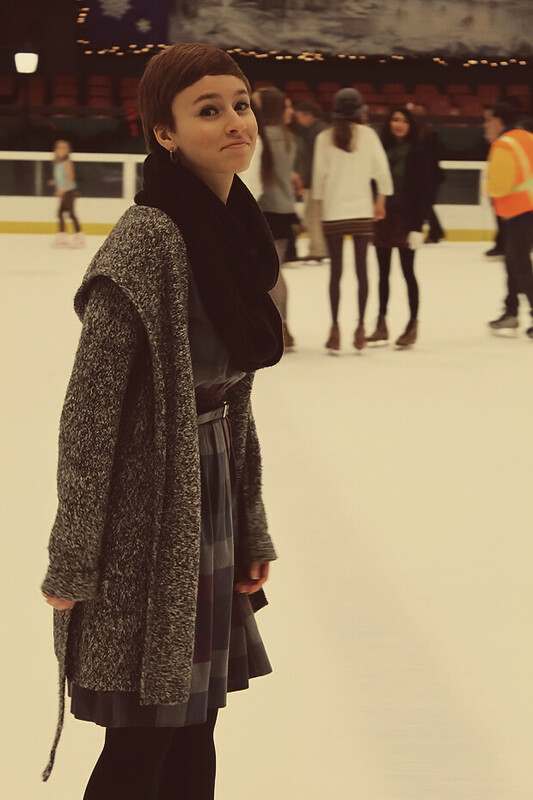 I can't remember the last time I went ice skating - such fun! Glad you had a good New Years Eve! 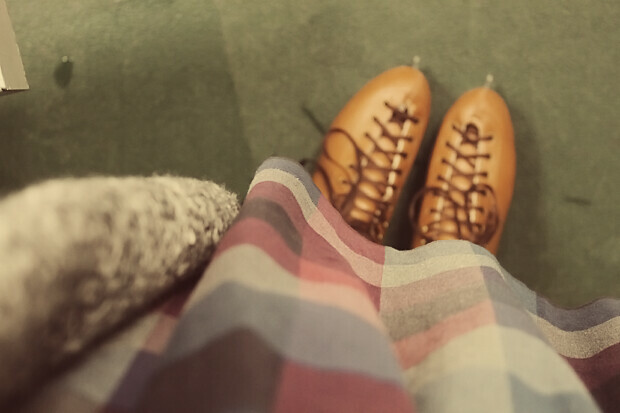 Your skates are amazing - so vintage looking! I'm a huge fan of ice skating, but I haven't been able to go since last winter. Frowny face. I love your new blog changes! And really jealous that you got so many good outfit pictures while moving...! I love that dress! I havent been skating in forever... I need to do that this year! lovely pictures! such a sweet dress. Gorgeous photos and a lovely dress to match! Great photos!! That dress is really nice! 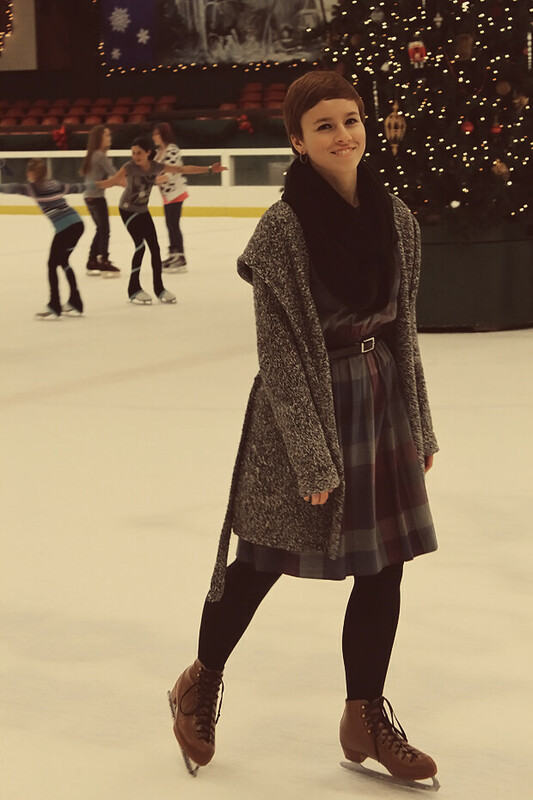 I love the idea of skating in a dress! How adorable are you Elanor!! Loving your plaid dress and big chunky sweater. 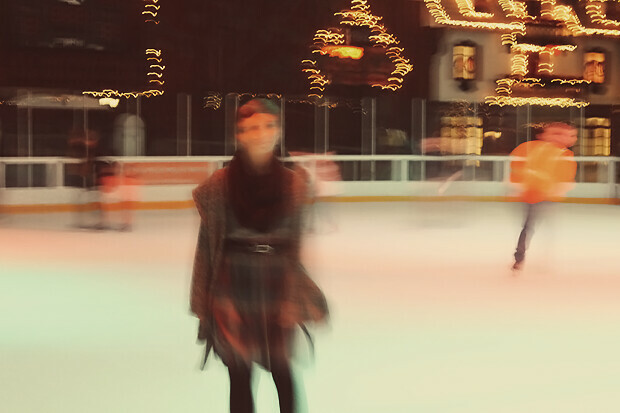 I don't think I could ever be coordinated enough to pose for photos and skate...I would most likely wipe out...hehe. I love these photos to pieces. Have the sweetest new year darling! 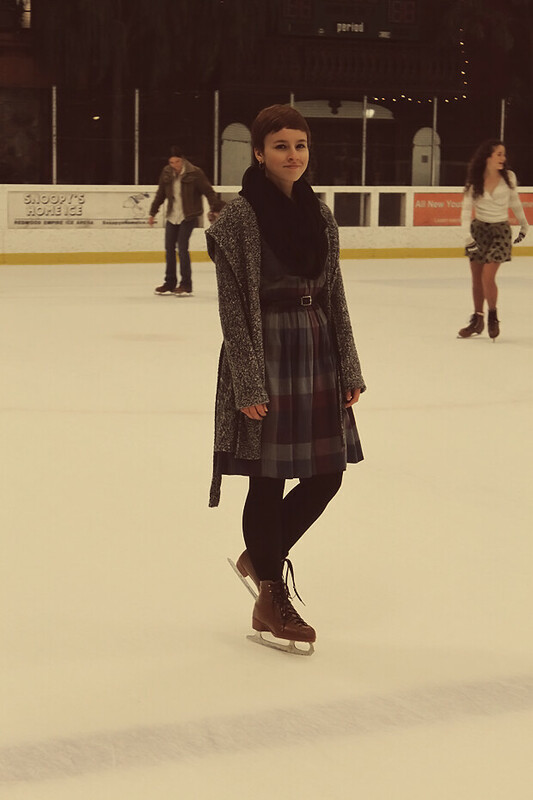 An outfit post on the ice, how adorable! i love your outfit. Were you wearing a jacket!? I loveee that sweater. You look so cozy. Niklaas isn't a huge ice skater, either. I always have to hold his hand. But I don't mind ;) hehe! ice skating is so hard!! i love these photos. and cute dress! love these photos amiga! and great outfit! im glad you had a great year and here's to a new one! Oh my gosh, ice skaaaaating! You look adorbz. 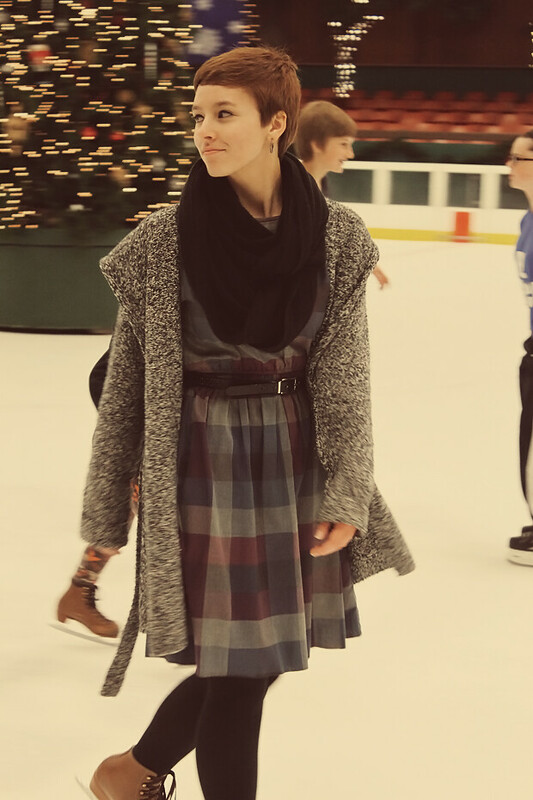 The plaid dress you're wearing is just too cute, and I must give you props for actually dressing up while being at the rink! I usually just throw on my warmest things, aha! This looks like such a good time! 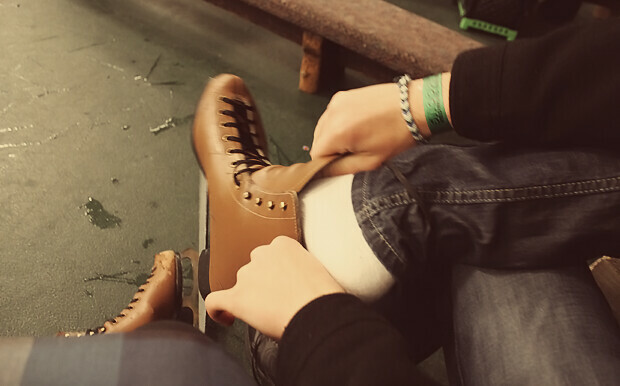 I've been ice-skating maybe twice in my entire life and I find it incredibly awkward. But it's fun if you're with the right people! I always lose at Monopoly too. I cheat but it never helps. You look incredibly graceful at ice skating! I would love to try one day, but if it's anything like roller skating I should probably bring some pillows to land on. haha. Happy New Year pretty lady. 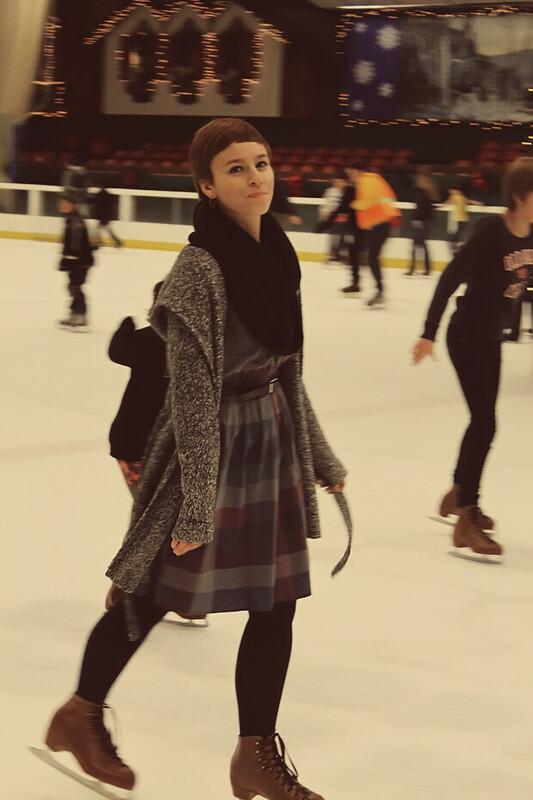 I need to go ice skating this year, I can't believe I haven't yet! And a perfect thing to do with the boyfriend! That dress is amazing...you look so pretty!